Note that this policy only applies to web pages on the www.vedp.org website. The website has links to those operated by other government agencies, nonprofit organizations and private businesses. When you move via such links to another website, this policy will not apply. If, during your visit to VEDP, you send an e-mail message, we will collect the e-mail address and the contents of the message which you supplied, including audio, video, and graphic information formats you send. We use this information to respond appropriately. This may be to respond to you, to address issues you have raised, to further improve our web site, or to forward your message to another agency for appropriate action. VEDP does not collect personal information on the website, but is subject to the requirements for administering information systems as established by the Government Data Collection and Dissemination Practices Act, Chapter 38 of Title 2.2. Pages that appear after you click on a link may be controlled by a different entity whose practices are not under VEDP's control. The copyright to the vedp.org website is owned by the Virginia Economic Development Partnership and pages are marked with the notice "(c)." Permission is granted to website visitors to make fair use of the contents, as per www.copyright.gov/fls/fl102.html. If you are in doubt about whether your use constitutes fair use, please send a request for explicit permission to copy the contents to info [at] vedp.org. If a hypertext link on the website is not working, please contact VEDP by emailing info [at] vedp.org. Neither VEDP nor any employee of VEDP warrants accuracy, reliability, or timeliness of any information published by this system, nor endorses any content, viewpoints, products, or services linked from this system, and shall not be held liable for any losses caused by reliance on the accuracy, reliability, or timeliness of such information. Portions of such information may be incorrect or outdated. Any person or entity that relies solely on any information obtained from this system does so at his or her own risk. 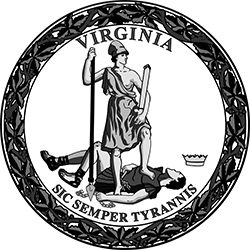 Under the "Virginia Freedom of Information Act" (FOIA), any records in our possession at the time of a freedom of information request might be subject to inspection by or disclosure to members of the public. However, identifiable personal information will be removed prior to such release in accordance with FOIA.